Australians may need to get used to coping with more disruptions to their food supply and rising food prices in a warming climate, say food systems experts. And the Millennium Drought demonstrated the impact that drought could have on food prices, when fruit prices in Australia increased 43 per cent between 2005 and 2007, and vegetable prices by around 33 per cent. As cities sprawl, market gardens have been pushed further out and city foodbowls have shrunk, but many are still highly productive. 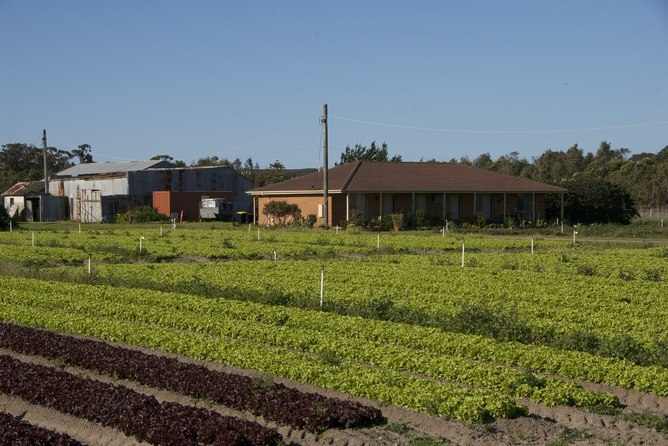 Sydney’s foodbowl produces at least 20 per cent of New South Wales’ total vegetable production, for instance, including the majority of the state’s total production of cabbage, spring onions, shallots and mushrooms. Melbourne’s foodbowl produces a wide variety of foods, including fresh vegetables, fruit, eggs and meat. It currently has the capacity to meet up to 41 per cent of the food needs of city’s population. Some areas of Melbourne’s foodbowl have access to recycled water, such as Werribee to the city’s west and the proposed Bunyip Food Belt to the south-east. The Werribee Irrigation District, next to Melbourne’s Western Treatment Plant, grows around 10 per cent of the vegetables produced in Victoria, including the majority of the state’s broccoli and cauliflower. Rachel Carey is research fellow, Deakin University; Jennifer Sheridan, is researcher in sustainable food systems, University of Melbourne, and Kirsten Larsen is manager, food systems research and partnerships, University of Melbourne. This article was originally published on The Conversation.